Coach David Beaty watching the team during pregame workout on Saturday, Sept. 1, 2018 at Memorial Stadium. 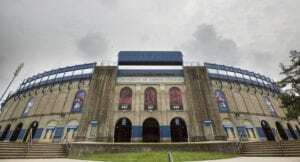 The long-awaited debut of freshman running back Pooka Williams didn’t go as planned Saturday night at David Booth Kansas Memorial Stadium. The true freshman watched the game from the sideline, wearing his No. 1 jersey, but no pads. 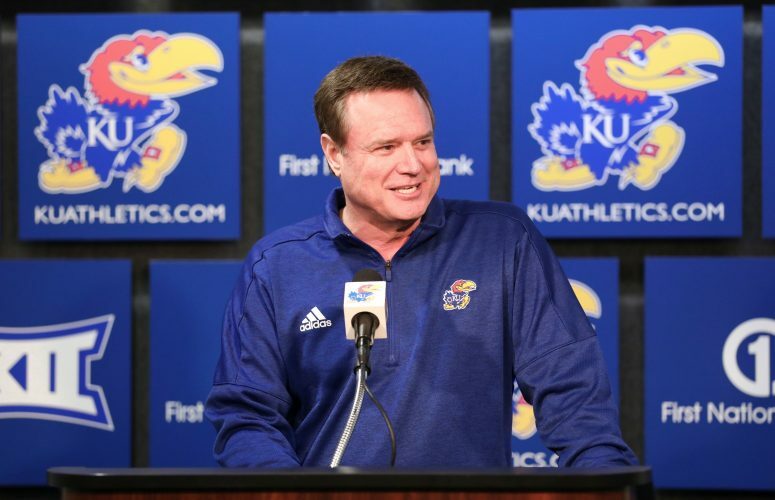 “Yeah, I really can’t make a comment on that,” head coach David Beaty said afterward. “I can tell you what the release said. It’s obviously not a disciplinary reason. I can’t comment on anything else about Pooka. 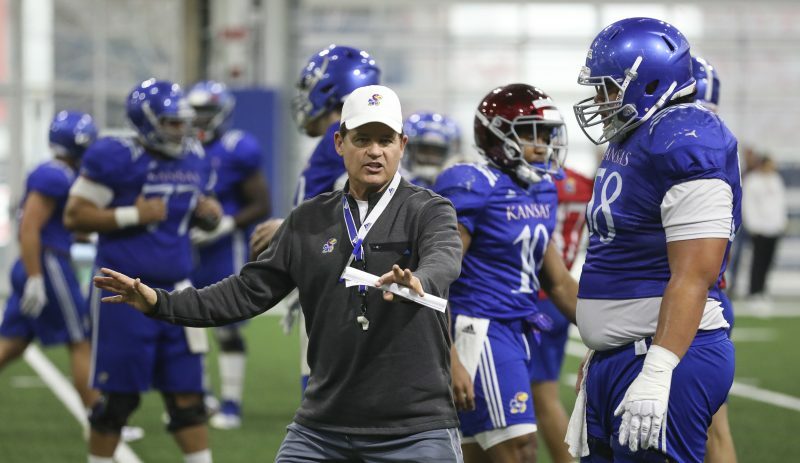 Another season debut, that of KU’s offensive line, included all the newcomers that were expected. Houston transfer Alex Fontana (center), Cal transfer Dwayne Wallace (right guard) and Ohio State transfer Kevin Feder (right tackle) joined returning starters Andru Tovi (left guard) and Hakeem Adeniji (left tackle) in the starting lineup. 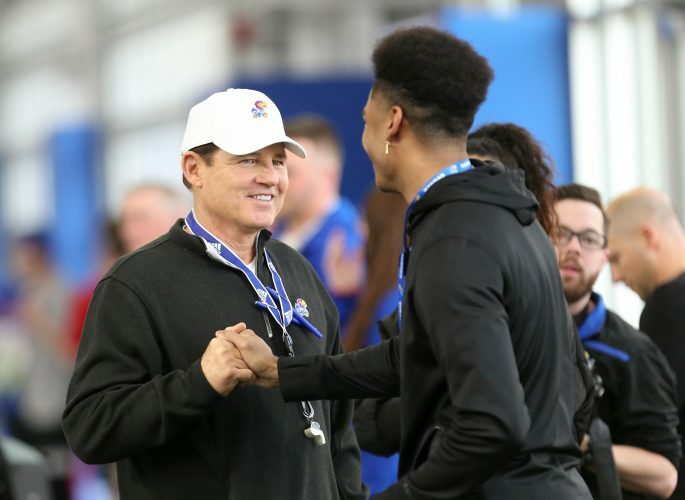 Although KU’s coaches and players entered the season optimistic about the groups chances, its first time out against live competition proved far from perfect. Fontana made a handful of errant snaps in his first start for Kansas. Starting quarterback Peyton Bender suffered six sacks. And KU averaged 1.8 yards per game on the ground, netting 56 yards on 32 rushes –an averaged devastated by the -48 rushing yards that accompanied Bender’s sacks. Junior running back Khalil Herbert rans 12 times for 61 yards, with a long of 23. Sophomore Dom Williams gained 35 yards on six rushes. Freshman cornerback Corione Harris entered as a substitute in his first collegiate game, near midway point of second quarter. Harris, a four-star prospect from New Orleans, played with Hasan Defense, Mike Lee, Tyrone Miller and Bryce Torneden in the secondary. 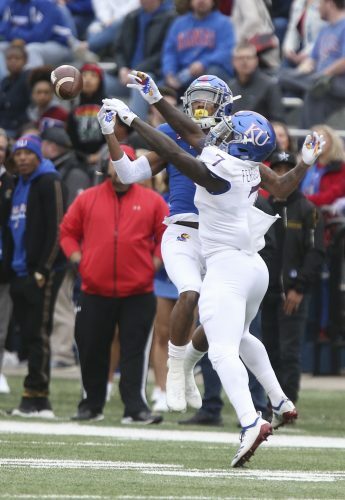 Ricky Thomas, a sophomore defensive back who transferred to KU from Blinn Community College, started at one safety spot, which was expected to go to Tyrone Miller Jr.
Harris was credited with two tackles and a pass breakup. Thomas had one assist. Senior Steven Sims Jr. caught the first touchdown reception of 2018. Sims now has 16 career touchdown receptions, which is tied with Mark Simmons (2002-05) for fifth all-time in Kansas history… After catching a 31-yard reception in the third quarter, senior Kerr Johnson Jr. bested his previous career high of 29-yard reception last season against Texas… In the fourth quarter, Johnson made it into the end zone with 15-yard reception for his first career touchdown. 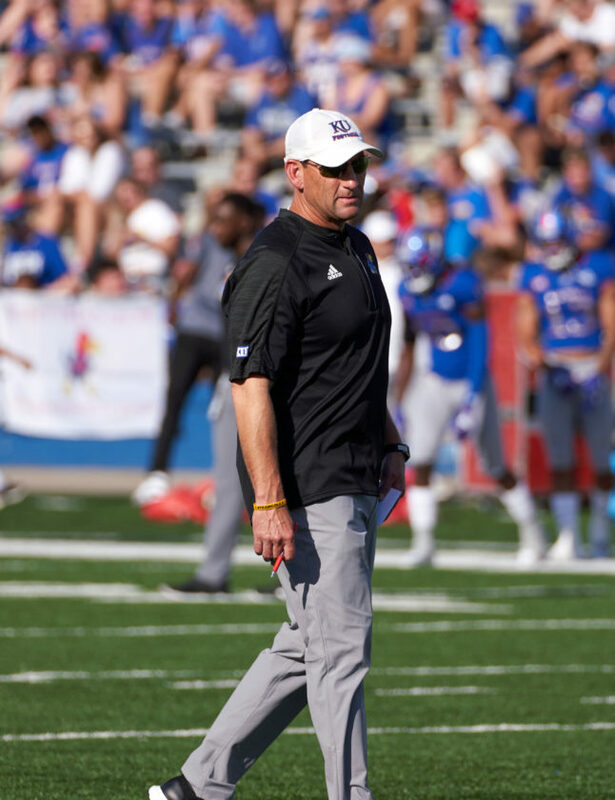 The score gave the Jayhawks the lead late in the season opener… Sophomore Quan Hampton’s first catch of 2018 was a career-best 24-yard reception, surpassing is previous high of 22 yards against Central Michigan in 2017… In his KU debut, sophomore Stephon Robinson Jr. recorded 43 receiving yards on four receptions. … Senior Mavin Saunders, a graduate transfer from Florida State, caught a two-point conversion late in the fourth quarter, recording his first points as a Jayhawk. Sims passed Saunders the ball on a reverse to convert the trick play. Senior Joe Dineen Jr. recorded his 16th career game with 10 or more tackles after recording 16 tackles, which ties his career-high mark… With eight tackles on the night, senior Daniel Wise matched his career high with his most tackles since 2016 against Ohio… Sophomore Kyron Johnson recorded his first career sack in the final minutes of the fourth quarter. His first tackle for a loss was for seven yards. Senior Gabriel Rui made a career long 54-yard field goal, his previous career high was a 50-yard field goal against Oklahoma State in 2017. His career-best kick is the longest since 2009 when Jacob Brandstetter made a 57-yard field against Oklahoma. Rui is now tied with Brad Fleeman (vs. Kansas State, 1988), Jeff Johnson (vs. Oklahoma, 1985) and Bruce Kallmeyer (vs. Missouri, 1983) for seventh longest made field goal in Kansas history.